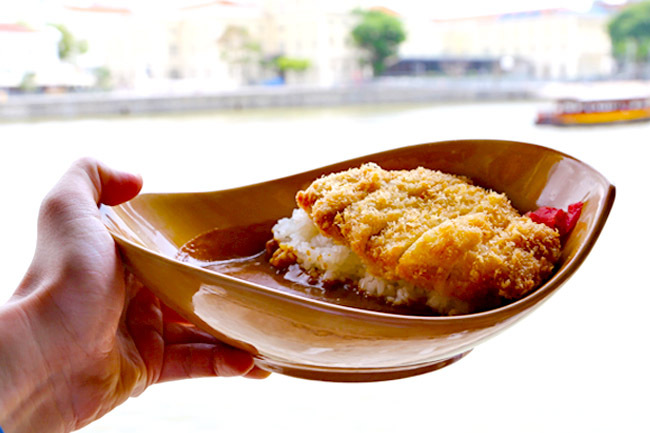 Tonkatsu specialty Japanese restaurant Imakatsu opens another at Boat Quay (first outlet is at Star Vista), featuring a heightened experience with a view of the Singapore River. 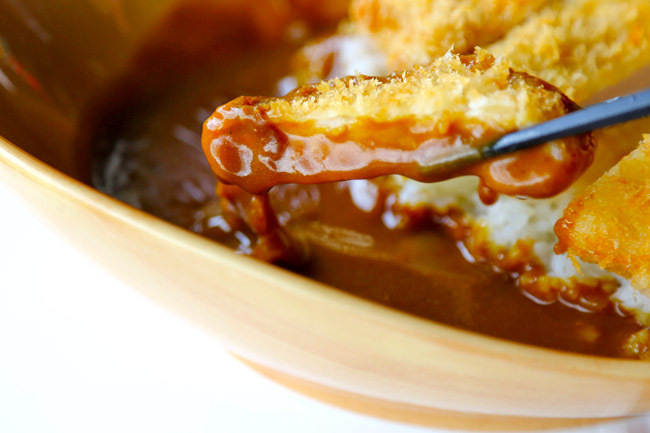 Katsu curry while watching the world go by? This is quite the life. The original Imakatsu at Roppongi was previously recommended as a Bib Gourmand restaurant under the Michelin Guide Tokyo 2015. . 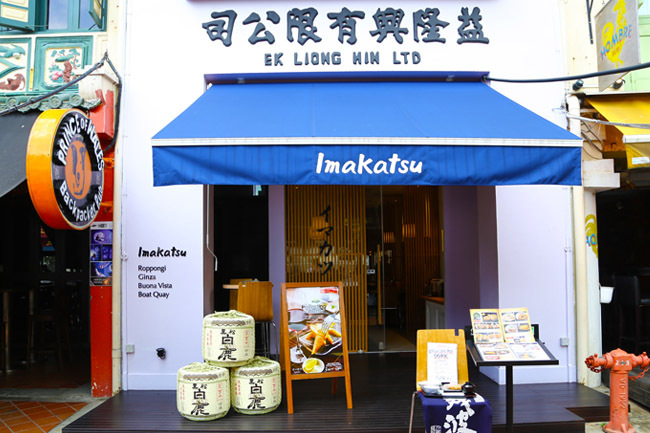 The restaurant known for three things: special cooking method of double-frying the food items; original sauces; and carefully selected ingredients. 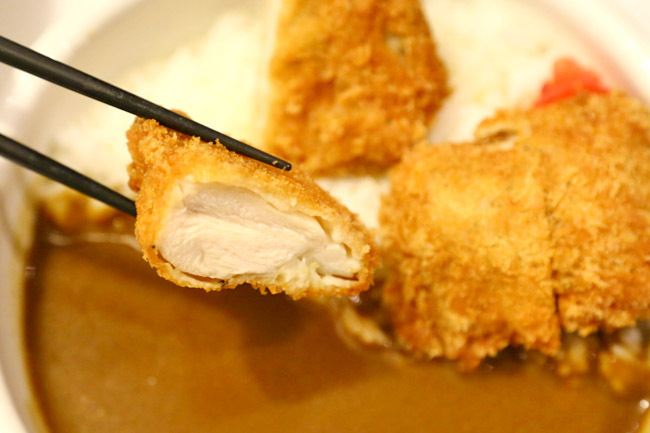 Specialty items include Premium Pork Loin Cutlet ($23.80), Jumbo Pork Loin Cutlet ($34.80), Chicken Fillet Cutlet ($14.80) and Pork Cutlet Curry. 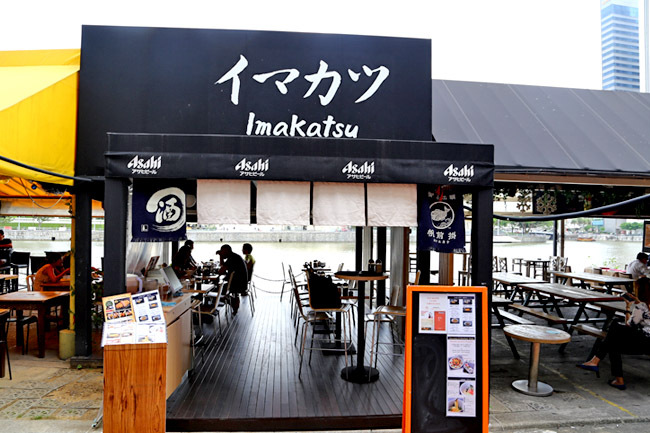 If you have noted, prices are a notch higher than the average Japanese casual restaurant here. There are a few reasons why I actually returned to Imakatsu a few times: The free-flowing sliced crisp fresh cabbage accompanied with fragrant goma sauce (simple pleasures); the combination of light crisp of the breaded crumbs matched with tender pork, all with a thin layer of fats. Truly, it is SO TOUGH to find good pork cutlets in Singapore, many either too greasy or tough and dry. To me, Imakatsu’s version is as good as it gets for this price. Though there are times, I gotten a drier-than-I-wished version. 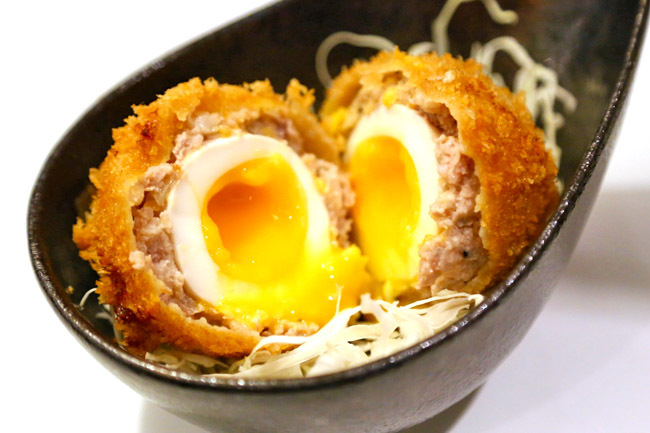 The other to order is the Piyopiyo Minced Meat Cutlet ($9.80), like good-old scotch eggs deep-fried with oozing yolk, containing some of my favourite components in one dish. Since I havnt done #eggporn in a while. The revamped menu also introduces an Udon component, with basic dishes of Onsen Egg Cold or Hot Udon ($12.80), Mentaiko Cold or Hot Udon ($13.80), and Curry Udon ($14.80). The udon used is Inaniwa Udon – hand stretched, thinner than the regular udon, slippery smooth and slightly chewy. 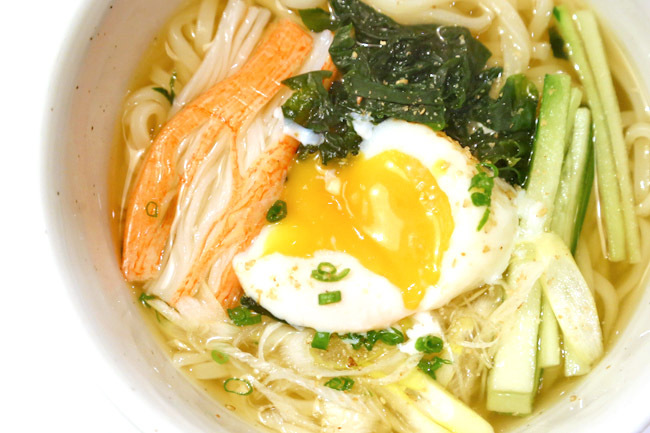 Diners who find the typical udon too thick, would like this version which has an elegant taste. I did think they could somewhat combine strengths and offer a deep-fried cutlet or prawn udon, marrying the best of their offerings.